Discovering the true grounds for eviction can make an eviction seem a lot less scary. An eviction can uproot your life, destroy your financial future, and just cause so much extra stress, its hard to focus on the tasks at hand. To better help you understand the grounds for eviction, it is important to first establish what an eviction is. Eviction is expelling someone from land or a building by legal process. Pretty easy to understand, but the actual process seems short and can turn a person’s life upside down from having to fight the eviction. Regardless of the outcome of the eviction court case, the effects of it can stir up your life for years to come. An eviction stays on a person’s credit report for years, making it difficult to rent another place, and also affects their financial future. The eviction process can be long. 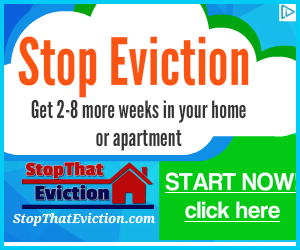 But with the right help and resources, you can stop an eviction from happening to you. Late/missing rent can be grounds for eviction. 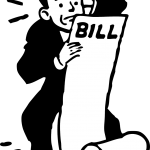 There are a number of reasons as to why a person may miss a rent payment. It can be as simple as not having money for rent. There can also be a number of reasons for the missing rent. People can lose their jobs, or have unexpected medical expenses. While there is a number of different reasons why someone may not pay rent, when rent is not paid, the landlord has enough reason to evict his tenant. If you look at the situation from the landlord’s point of view, they are missing out on money each time a tenant doesn’t to pay rent. When agreeing to rent a place, most landlords may ask their tenants to sign a lease agreement which will outline the various rules that they must follow. This lease agreement has a number of terms on it such as how long the tenant can stay at the residence and how much the rent will be. It usually also states the number of guests that are allowed to stay over or the number of pets that they can have. While you might have landlords that may be lax with the rules, such as allowing them to have a small pet, yet a lease is a contract. Even if the landlord allows it, unless there is an update to the lease, you are breaking a lease at your own risk. Illegal use is another reason that often comes to mind when thinking about evictions. Needless to say, using illegal drugs, or breaking the law are against most lease agreements. The landlord does have the ability to evict the tenant. Additionally, this could also mean conducting an illegal business at the residence. Illegal businesses are not always drug related, as mentioned earlier, but rather conducting a business, such as a salon or pet grooming, without proper authorization from the landlord or city. Regardless of how small the operation may be, the residence is meant to be for living and not for conducting business. While taking the listing off the market can be illegal if the landlord is breaking their lease agreement, if the lease is up and the landlord wishes to take the listing off the market, they are able to evict the tenant to clear up and usually fix-up the residence. There are several states reviewing these laws right now about evicting tenants because they want to clear out a house or apartment building before selling it. The landlord is usually not required to continue to rent a place to a person if they want to take the unit off the rental market. Unfortunately, some properties are not the safest place to live. Safety violations can include lead paint in the walls to rusted pipes infecting the water the tenant uses. There are a number of health codes that a landlord must follow. The landlord may have to evict a resident in order to bring the building up-to-code. 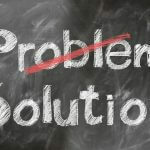 While this is not the fault of the tenant, yet the landlord may be doing this for the safety of the tenant, it still leaves them to have to find a new place and deal with the stress of moving. Property damage is another cause of eviction. The tenant is renting the residence, so while it may be nice to do remodeling, it is up to the landlord to approve such projects. The tenants can continue with the project, however they do so at risk of eviction and will be liable for the damages. Usually remodeling is not the problem. As you may have guessed, the real problem here is intentional destruction that tenants do to rental property. Don’t do it. If you want to have a chance at getting the security deposit back. And further, don’t do it, because the landlord can sue for damages beyond the security deposit. Damage to property does not only mean holes in walls or broken windows, but also can mean pets scratching up the floors, or even planting a garden. Damage to property can include any changes done to the property the landlord did not approve. NEXT Next post: Do You Need Help With Rent?